It is with sadness and concern we report the unhappy news that Clarence "Big Man" Clemons, 69, suffered a serious stroke this past weekend in Florida. 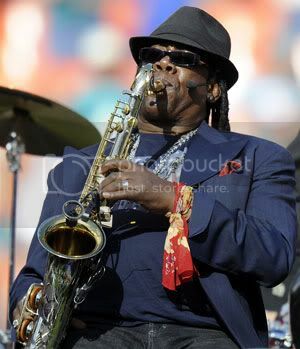 Clemons' saxophone is a fixture of the E Street Band and has been for 40 years. There are conflicting reports of the severity of the stroke and Clemons' current condition but there are reports two separate brain operations were required following the stroke and that he is in serious but stable condition. Longtime readers of this site as well as my work at Blogcritics and elsewhere know I'm a hopelessly devoted E Street Band fan and we all join together to wish him a full and speedy recovery. We'll keep prayers and good thoughts for him and wait for more official word on his condition.